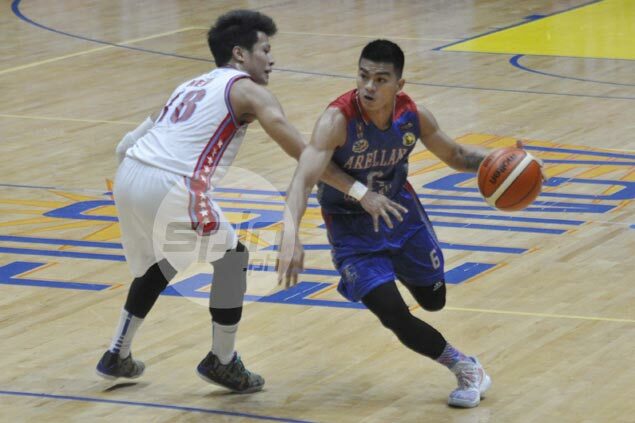 ARELLANO coach Jerry Codinera is thrilled about Jio Jalalon staying with the Chiefs in the team’s crucial run in the NCAA Season 92 seniors basketball instead of playing for the Gilas cadets in the Fiba-Asia Challenge Cup next month. Codinera was also glad Gilas 5.0 coach Josh Reyes understood Jalalon’s predicament and allowed the Arellano star to stay with the Chiefs. “I trust ‘yung judgement ni Jio,” he added. Despite his desire to play for the country, Jalalon opted to stay put to help the Chiefs for their crucial stretch of games in the next two weeks—starting with their match versus Perpetual next Thursday—which unfortunately coincides with the Gilas buildup for the Fiba Asia Challenge Cup set from September 9 to 18 in Tehran, Iran. “Medyo critical ‘yung next two weeks namin,” said Codinera on Thursday when Arellano gained a share of the lead with San Beda after their victory over Emilio Aguinaldo College, 83-74. Jalalon reiterated that the crucial run in the next few weeks will be pivotal to the Chiefs’ chances of making it back to the Final Four after barely missing the playoffs last season. “Sa akin naman, sobrang importante ‘to sa amin. Eto na ‘yung chance namin na maibalik [sa] Final Four ‘yung Arellano. Nag-usap naman kami ni coach Josh na priority ko muna ‘yung college ko, sabi [nya], okay lang kung ano ‘yung desisyon,” said Jalalon.